One of our newer customers. 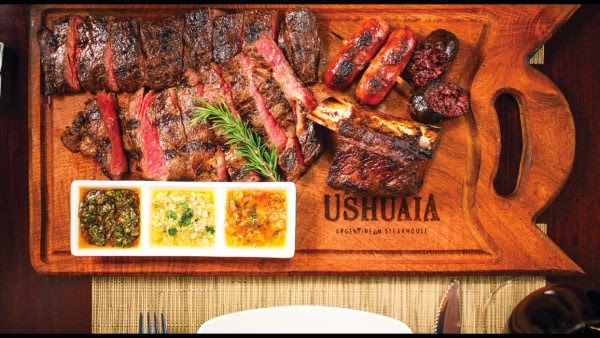 This is a NorCal Ovenworks 48X34 Argentine Exhibition Grill. The customer has not put the bricks in yet. Note that the grill is constructed of Individual 3/8" Square Rods. A searing machine! Yummm. I'm pretty sure this photo was taken previously, the sear is a little more pronounced with the 3/8" Individual Square Rod Grates. Niced mixed grill, someone left off the mollejas, but the chorizo, morcilla, and short rib are there, my favorites.